Many pockets and departments, make everything well packed, looks very clean neatly. Very light weight, Premium quality felt fabric. 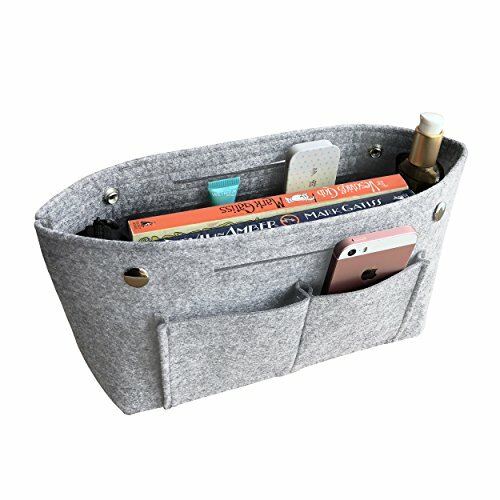 How to choose the right size of organiser? 1. Which bags do you use most often? i.e. If you frequently switch between handbag, shoulder bag and backpack, then use the smallest bag as a guideline to buy the right organiser. 2. Measure the interior length, width and height of your handbag with a measuring tape. Compare them to the dimensions below. Please allow 2 cm clearance on all sides and height. DIMENSIONS (Small)10.2"x 6.3"x 4.1" (Large)11.8"x 7.1"x 4.7"
If you have any questions about this product by APSOONSELL, contact us by completing and submitting the form below. If you are looking for a specif part number, please include it with your message.